March 11, 2011. Soon after the Great East Japan Earthquake struck Japan, everything was in shortage at the disaster area. What roads are functional? Which road will lead to the area? 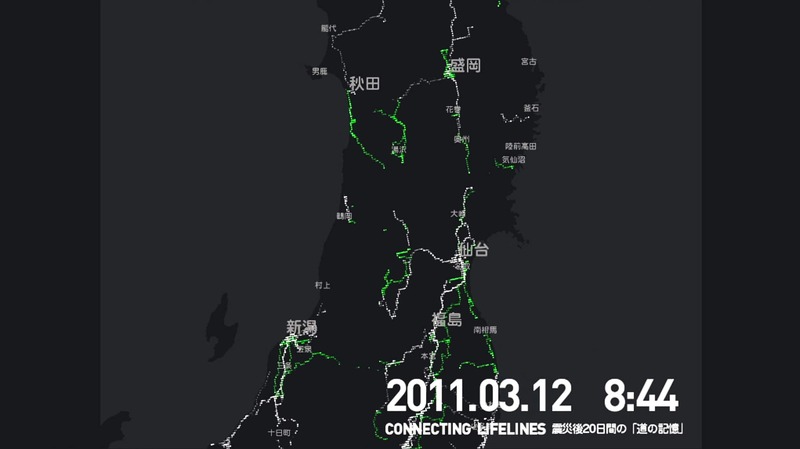 Those information was the very lifeline to support/save the disaster area. 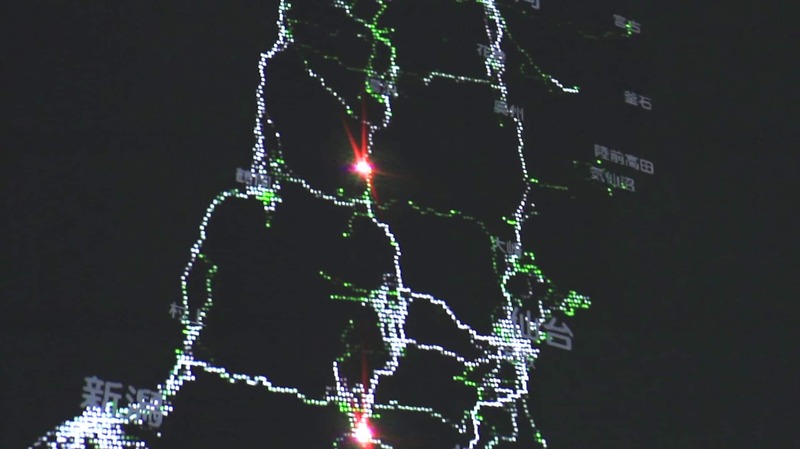 10:30am March 12, 20 hours later since the earthquake struck, Honda analyzed the data collected through its proprietary car navigation system,“internavi,” and extracted road data that were able to drive at the disaster area. The data was made available for the public. 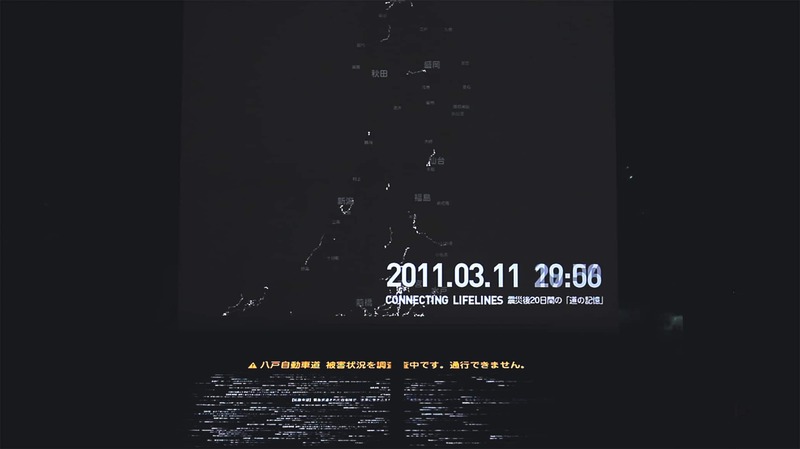 Moreover, all of these initiatives were introduced as the “memory of roads” during various events such as Tokyo Motor Show. 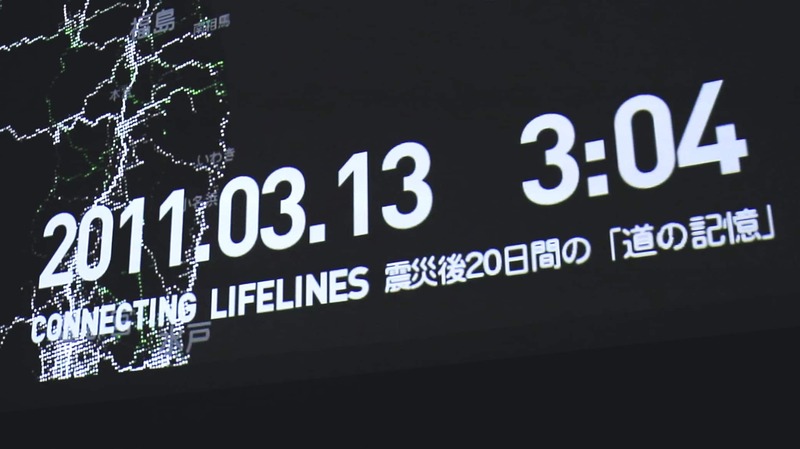 The installation expressed the possibility of technology that connected people’s lives, and dramatically displayed Japan’s hope recovering from an unprecedented disaster, by drawing the drivable road, the “lifeline,” using a laser, and combining that with the actual tweet that enabled them to get through that area.